After 17 years and numerous setbacks and budget boosts, Europe's Galileo satellite navigation system went live 15 December 2016. At that time, 18 of the planned 30 satellites were already in orbit. The European Union's promise to enhance localization services was became reality with the successful launch of four more satellites of the bloc's prestige Galileo project. An Ariane 5 ES rocket carried four satellites, each weighing 738 kilograms, into orbit. Never before had an Ariane 5 rocket delivered so many - and such heavy - satellites at once. As this was the 75th launch of an Ariane 5, this rocket type now surpassed the number of launches of its predecessor, Ariane 4. All of the previous 14 Galileo satellites had been launched by Soyuz rockets. Initial services, free to users worldwide, will be available only on smartphones and navigation units already fitted with Galileo-compatible microchips. The new system is designed to deliver more precise data for private and commercial users than the current US Global Positioning System (GPS) does. Galileo will increase geo-localization precision tenfold. Using GPS, private users can navigate with a precision of up to 15 meters (m). Galileo offers a precision of up to 4m for its fully open service. Commercial users and official government services can even receive a precision of a few centimeters. This is important, for example, for fully or partially automated planes, cars or ships. By 2018 Galileo should be fully operational, with at least 24 satellites in place. That is the threshold the system must reach before it can deliver a complete service. The high precision offered by Galileo was one of the reasons why the Pentagon opposed the system in the first place. There were fears that adversaries of NATO or of other allies could use it for military purposes. However, engineers have found a solution to that problem: should a serious crisis arise, the military can jam a certain part of the broadcasting spectrum. This would cut off civilian use, but still retain the functions that are reserved for allied military purposes. The EU never appears more as a collection of squabbling parochial interests than with the very same big projects it makes possible. Everything from the failure of the PPP to expensive unnecessary redundancies, such as multiple control centers, are a demonstration of the difficulty of forming and carrying out consensus projects among EU members and their national champions. Being built at a cost of €20 billion, Galileo aims to provide a guaranteed global positioning service for EU nations in order to ensure independence from existing systems, including the United States’ GPS (operating since 1994) and Russia’s GLONASS (in civilian use since 2007). In October 2011 the first two European Galileo satellites were launched, with another two scheduled for this month. The first Galileo signals will be available by the end of the year, and the complete Galileo constellation of 27 satellites is set to be fully operational by 2020. Both Galileo and GNSS.asia are managed by the European Commission Directorate General (ECDG) for Enterprise and Industry, ensuring that they are under civilian control and will be used primarily for civilian purposes. Although the ESA Navsat concept dated back to the 1980's, the proposed project received relatively little attention and even less financial support. The preliminary Navsat system called for 18 satellites: 12 in highly elliptical orbits and 6 in geostationary orbits. By mid-1993 ESA was examining plans for a Global Navigation Satellite System (GNSS) for the express purpose of avoiding European dependency on the US GPS and the Russian GLONASS networks. However, behind the scenes activities were aimed at finding an acceptable sponsor and operator other than ESA, perhaps the European Commission or INMARSAT. In 1998, the European Union decided to pursue its own satellite navigation system, known as Galileo. In early 2002 the European Union (EU) decided to fund the development of Galileo. A great deal of preliminary scientific work had already been accomplished. 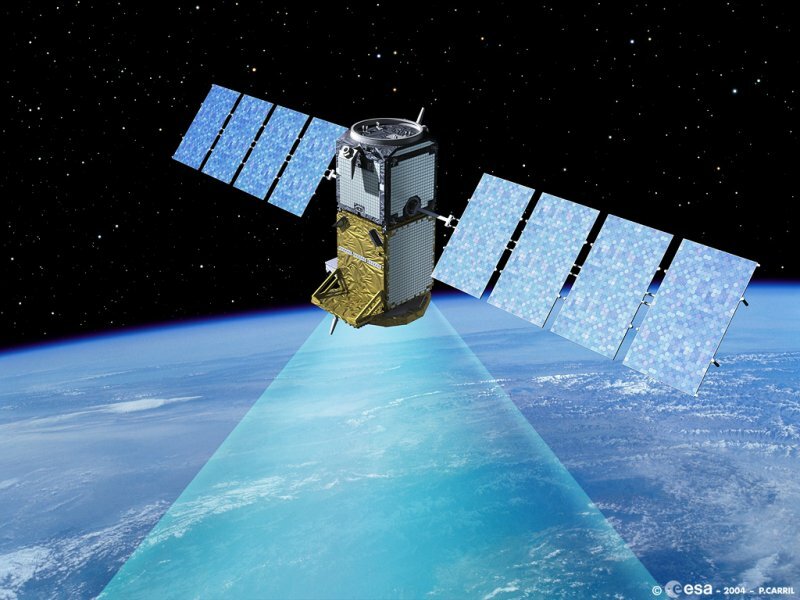 Several factors influenced the decision to develop Galileo, the primary one being that GPS is a U.S. military asset that can be degraded for civilian use on order of the U.S. Government (as is the Russian satellite navigation system GLONASS). Disruption of either system might leave European users without their primary navigation system at a critical time. In contrast, Galileo will be under civilian control and dedicated primarily to civilian use. It is important to note that since GPS has been operational, civilian uses are proliferating far more rapidly than anticipated, to the point that GPS planners are developing new frequencies and enhancements to GPS for civilian use (WAAS and LAAS), SA has been turned off (as of May 1, 2000), and the cost and size of receivers have plummeted. The central component will be the global constellation of 30 satellites (27 usable and three spares), distributed over three planes inclined 56 degrees to the equator. Within each plane, one satellite is an active spare, able to be moved to any of the other satellite positions within its plane, for replacement of a failed satellite. The orbits in Medium Earth Orbit (MEO) are at an altitude of 23,616 km (about 12,750 nm). 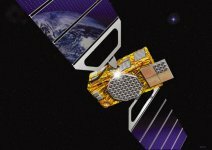 While US GPS satellites are only launched one at a time, Galileo satellites are being designed with new miniaturization techniques that will allow several to be launched on the same rocket, a far more cost-efficient way to place them in orbit and maintain the constellation. Several constellations were studied for optimisation of the space segment. The retained constellation is based exclusively on satellites in MEO orbit, which ensures a uniform performance both in terms of accuracy and availability, and which offers greater robustness in crippled mode (satellite failure). The GALILEO satellite constellation is furthermore well suited for high latitude countries [ based on Scandinavian participation] and offers an improved visibility in towns and cities, while at the same time being less onerous. The EGNOS program made significant improvements to the services offered in Europe by the GPS and Glonass satellite constellations. EGNOS, which has been developed since 1993, increases the number of GPS signals, applies a differential correction and adds an integrity message. EGNOS represents the first step in the European Satellite Navigation Strategy that leads to Galileo, the future European global satellite navigation system. Galileo will be compatible with EGNOS and will bring about even further improvements in customisation, safety and reliability of services. EGNOS was developed under a Tripartite Group whose members are the European Space Agency, the European Commission and EUROCONTROL, the European Organisation for the Safety of Air Navigation. EGNOS development was funded by ESA, the EC and Air Traffic Service Providers of EU Member States, while ESA has been responsible for the development and technical qualification of the system. A wide range of GALILEO receivers will be available providing the various types of satellite radio navigation services on offer, whether or not combined with other functions. In addition, the technological potential will lead to a high degree of integration of these functions (standard "microchips" tailored to a specific function). The development and validation phase (2002 – 2005) covers the detailed definition and subsequent manufacture of the various system components: satellites, ground components, user receivers. This validation will require the putting into orbit of prototype satellites from 2005 and the creation of a minimal terrestrial infrastructure. It will allow the necessary adjustments to be made to the ground sector with a view to its global deployment and the launching, if necessary, of operational prototypes manufactured in parallel. During this phase it will also be possible to develop the receivers and local elements and to verify the frequency allocation conditions imposed by the International Telecommunication Union. The first experimental satellite, part of the so-called Galileo System Test Bed (GSTB) was launched on 28 December 2005. The objective of this experimental satellite is to characterize the critical technologies, which are already under development under ESA contracts. Thereafter up to four operational satellites will be launched in the timeframe 2005-2006 to validate the basic Galileo space and related ground segment. Once this In-Orbit Validation (IOV) phase has been completed, the remaining satellites will be installed to reach the Full Operational Capability (FOC) in 2008. The constellation deployment phase will consist in gradually putting all the operational satellites into orbit from 2006 and in ensuring the full deployment of the ground infrastructure so as to be able to offer an operational service from 2008 onwards. GALILEO has been designed and developed as a non-military application, while nonetheless incorporating all the necessary protective security features. Unlike GPS, which was essentially designed for military use, GALILEO therefore provides, for some of the services offered, a very high level of continuity required by modern business, in particular with regard to contractual responsibility. It is based on the same technology as GPS and provides a similar - and possibly higher - degree of precision, thanks to the structure of the constellation of satellites and the ground-based control and management systems planned. In addition, unlike GPS, it will be possible to receive GALILEO in towns and in regions located in extreme latitudes. GALILEO is more reliable than GPS, as it includes a signal "integrity message" informing the user immediately of any errors. Galileo will provide an important feature for civilian use that GPS does not: integrity monitoring. Currently, a civilian GPS user receives no indication that his unit is not receiving proper satellite signals, there being no provision for such notification in the code. However, Galileo will provide such a signal, alerting the user that the system is operating improperly. Galileo specifications called for it to provide precision to within one meter. But GPS only provides a signal with 20 meter accuracy. Some of the civilian service applications offered by the system require great precision, such as applications in an urban environment, emergency calls using the European number 112, the guidance of aircraft and guidance assistance for the blind. Of the five services now proposed for Galileo, Public Regulated Service (PRS) is intended for use by police, emergency workers, and national security services. Like other major European projects such as the Airbus or Ariane, GALILEO is a technological advance likely to revolutionise society in the same way that the mobile phone has done in recent years while also heralding the development of a new generation of universal services. The European Councils at Cologne, Feira, Nice, Stockholm, Laeken and Barcelona all emphasised the strategic importance of the GALILEO program. In road and rail transport, for example, it will make it possible to predict and manage journey times, or, thanks to automated vehicle guidance systems, help reduce traffic jams and cut the number of road accidents. However, although transport by road, rail, air and sea is the example most frequently quoted, satellite radionavigation is also increasingly of benefit to fisheries and agriculture, oil prospecting, defence and civil protection activities, building and public works, etc. In the field of telecommunications, allied with other new technologies such as GSM or UMTS, GALILEO will increase the potential to provide positioning information as well as to provide combined services of a very high level. The role played by satellite global positioning systems is set to grow considerably. The real impact of satellite global positioning on society and industrial development, as is the case for all major technical innovations, will become clear only gradually, even though many practical applications are already possible. While there is no question but that the future of guidance systems involves satellite radionavigation, there are sectors other than the transport sector which are already dependent on this new technology, even if they are not aware of the fact. This is true of the financial sector when it comes to determining the exact time of bank transactions. Some analysts regard satellite radionavigation as an invention that is as significant in its way as that of the watch: in the same way that no one nowadays can ignore the time of day, in the future no one will be able to do without knowing their precise location. After it begins service in 2008, EU officials expect Galileo to generate as much as €9 billion ($11 billion) a year in revenues and create 100,000 jobs. Initial there were some concerns that the Galileo signal might interfere with planned GPS signal upgrades and make it more difficult for the United States to deny precise positioning capability to an enemy in a war zone. Europe’s plans proceeded apace, eliciting a warning on 02 February 2004 from Charles Ries, principal deputy assistant secretary of state for European and Eurasian Affairs, that failure to find a compromise would be “highly corrosive to the transatlantic relationship.” The US was particularly concerned by the "M Code Overlay" issue. Under the draft plan put forth by the European Commission (EC), one of the signals for the Public Regulated Service (PRS) would either directly overlay or straddle the new military M Code centered at 1227.6 MHz. The US position was that it was unacceptable for Galileo to overlap the spectrum reserved by GPS system for battlefield applications. The M Code allows US commanders to jam GPS signals to enemies within a radius of 100 to 200 kilometers. The new military (M-code) signal was developed to be spectrally separated from civil signals. The US military had concerns that the Galileo system would put at risk programmed military enhancements to GPS. Without spectral separation, security is weakened. The US wanted to be able to jam Galileo signal in wartime, but the PRS signal at the M-code spectrum cannot be jammed without also jamming the M-code. By February 2004 the US and the EU agreed upon a common open signal definition. The agreed upon signal is a split spectrum BOC (Binary Offset Carrier) 1,1 in lieu of the previously discussed BOC (1.5,1.5) and the BOC(2,2) signal structures which created the "M Code Overlay" issue. On June 26, 2004 the United States and the European Union reached an agreement covering the US Global Positioning System, and Europe's planned Galileo system. The Agreement on the Promotion, Provision, and Use of Galileo and GPS Satellite-Based Navigation Systems and Related Applications protects Allied security interests, while paving the way for an eventual doubling of satellites that will broadcast a common civil signal worldwide. The agreement ensures that Galileo's signals will not harm the navigation warfare capabilities of the United States and the North Atlantic Treaty Organization military forces. By 2007 the Galileo satellite navigation project was proceeding under its new EU funding mechanism, albeit well behind schedule. Officials expressed frustration at the Byzantine web of EU politics and blatant promotion of contracts for national champions by EU member states, often resulting in expensive redundancies. EADS-Astrium would like to see closer cooperation with U.S. industry on the project, cooperation which has been limited to date due to an attempt to keep the program all European. The Galileo story offers a textbook illustration of the challenges of carrying-out EU projects while satisfying the parochial demands of member states. At least $1.48 billion in public funds has already been spent on the project. Of the remaining $3.5 billion needed to complete the project, $2.4 billion will come from "excess" EU agriculture funds and the rest from EU research, transport and administration budgets. As the main contributor of EU agriculture funds, Germany would have been reimbursed for a large share of those excess funds. On 30 November 2007, EU governments agreed to jointly complete the development of Galileo, with the European Commission setting a December 31 deadline for final approval of the program. Spain was the lone holdout this time, over the location of ground stations. In seeking unanimity, the EU subsequently won Spain's approval with a deal that left open the possibility that a ground station planned for Spain to monitor emergency services on Galileo channels may in the future be made into a full ground control station if Spain pays for the upgrade. The original plans for Galileo only called for two ground control stations: one near Munich and another near Rome. Our EADS contacts confided that even the Rome station was an expensive redundancy, being fully-manned around the clock simply as a "backup" facility in the wake of Italian demands. Assuming the project proceeds as planned, full deployment of 30 satellites should occur by 2013. Only one of Galileo's satellites had been launched thus far, in December 2005. The second satellite missed its launch date toward the end of 2006 after it short-circuited during final testing. The European Commission drafted contracting rules to ensure both large and small companies across the EU would benefit from Galileo. The rules divide Galileo contracts into six segments covering various stages of the project. No single company can be the prime contractor for more than two segments, and prime contractors are obliged to hand over 40 percent of the order value to subcontractors. Our EADS contacts explained that one key change resulting from the new financing model is the way contracts are apportioned. Under the PPP, the European Space Agency (ESA) was responsible for financing and apportioning Galileo-related contracts. The contracts were divided among ESA members according to their contributions to the ESA - while the process was relatively transparent, it was at times complicated (for instance, EADS having to find sub-contractors in small ESA member states like Finland). However, with direct EU funding, contracts would be apportioned by Brussels and administered by the ESA without a direct relationship to contributions from member states -- in theory, a big contributor country like Germany might not get a single contract. While expressing the hope that contracts will be fairly divided, our interlocutors were clearly concerned about the potential for the political manipulation of contracting decisions in Brussels by EU member states. 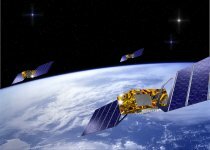 By 2009, Galileo, the EU's Global Navigation Satellite System (GNSS), was in the midst of a 3.4 billion euro identity crisis as political advocates downplay Galileo's advertised role as a pillar of Europe's national security and instead spotlight the system,s civil and economic benefits to the EU. However, industry uniformly saw no civil need for Galileo, emphasizing that their position, navigation, and timing (PNT) requirements are already being met by the US Global Positioning System (GPS). In reality, Galileo's primary importance to the EU is twofold: first, to achieve GNSS independence as a national security measure; and second, to prevent the failure of the EU's largest-ever technical project. It would be politically difficult for the EU to admit this publicly, as the system has always been billed as a non-military civil system and is now being funded by European Community and European Space Agency (ESA) funds. 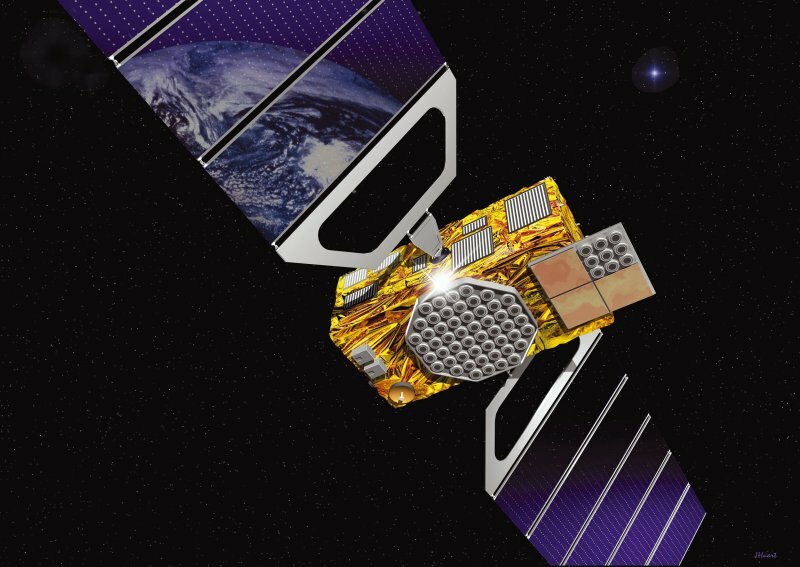 Galileo entered its final phase - Full Operational Capability (FOC) - and with the 3.4 billion euro for this phase's completion in place, the program is, for the time being, in a stable economic position and seemingly unaffected by the financial crisis. However, recent budget and schedule overruns in Galileo's In-Orbit Validation (IOV) phase (the current phase) and delays awarding the FOC phase contracts left the program with absolutely no schedule or budgetary breathing room. Renegotiation of Galileo's IOV phase caused a 358 million euro cost overrun which was eating up a large portion of Galileo's 428 million euro contingency reserve. The inflexible European Parliament-imposed 3.4 billion euro FOC budget and hard 2013 deadline for Galileo completion were looking increasingly unattainable and led some in Galileo circles to suggest a "Galileo-light" version that would offer fewer services and signals in an effort to salvage the program should schedule and budgetary restrictions prove too great to overcome. To this suggestion, Fotis Karamitsos, European Commission (EC) Director-General for Energy and Transport, replied that this would be a mistake and said "in these times of economic crisis we must deliver all Galileo services and signals" and he emphasized their importance to the European downstream applications market. Galileo's Public Regulated Service (PRS) and Commercial Service (CS) are under distress due to lower than expected customer demand and the lack of a robust legal framework. PRS faces additional challenges regarding the mechanics of PRS under civilian control, given that the military is the primary end-user. Particularly important, a frequency overlay between Galileo and China's COMPASS system could degrade localized PRS use if COMPASS signals were jammed by a malicious entity. PRS is an encrypted signal designed to be resistant to interference and malicious jamming and is intended for use by European governmental agencies, including the military (primary) and law-enforcement. CS offers two encrypted signals aimed at market applications in a pay-for service arrangement. Galileo officials were hopeful that the income resulting from its CS will help recapture at least some of Galileo's operational and development costs. The resounding theme from industry was that they are not anticipating a strong demand for Galileo services. Their view is that as far as navigation and location services go, GPS fills the bill. Over 99% of GNSS devices sold today only incorporate GPS's L1 signal for the simple reason that it gives users what they need and keeps costs down. The race is over in mobile phone and GPS won - the GPS L1 signal will remain the paramount signal in the future. The trend in chip manufacturing is to integrate more services on one chip (Blue Tooth, WiFi, L1, FM), not more GNSS signals. There is a small market for increased GNSS integration, particularly in urban areas, but which signal to integrate would be a function of associated hardware cost. Systems like Japan's QZSS regional GNSS and Russia's Glonass are good candidates because the increase in hardware complexity is not significant. However, integration of the Galileo signal would drive hardware costs up by a factor of eight - something not appealing to industry or consumers. Galileo's identify crises was perhaps best summed up by Giuseppe Viriglio, ESA Director of Telecommunications and Navigation, when he stated, "I am afraid that we are building a Ferrari to transport fish - this is not good for the Ferrari nor the fish." Viriglio added, "Galileo is being delivered with the assumption that PRS is a real benefit to the user community, but in my mind there is no market (for PRS)." Viriglio said that because the open market is not asking for Galileo, he personally asked the EU Commission to definitively demonstrate a way that Galileo can be a "real value" to the user community. Galileo had hit the political point of no return but despite all of the budgetary, technical, and schedule obstacles it faces, the EU will probably keep the Galileo train rolling for the time being. Politically, the Galileo program was in a real bind, given the fact that Galileo was always billed as a civilian-only system, yet the only customers championing its completion are from the European military and defense sector. This begged the question: was the EU ready to come clean and simply admit that Galileo is required for national security? The other three major GNSS providers--GPS, Glonass, and COMPASS make no qualms about this and freely admit that these systems are first and foremost for national security. Galileo, the EU satellite navigation program (the European "GPS") and Copernicus, the EU Earth monitoring program, were in decisive phases in 2014. With the launch of six additional Galileo satellites, Europeans would soon be able to enjoy their own satellite navigation system. The progress in both European space programs - Galileo and Copernicus - was announced 28 January 2014 by Vice President Antonio Tajani following a meeting with Jean Jacques Dordain, Director General of the European Space Agency (ESA) and the CEOs of five main companies involved: Arianespace, Telespazio, Thales Alenia Space, OHB and Airbus Space and Defence. As a result of the meeting, all five companies and the ESA expressed their strong commitment to the launch of additional satellites for the two space programs in 2014, as communicated to Vice President Antonio Tajani by the Director General of the European Space Agency. This could allow initial Galileo services to be available, subject to finalising all technical issues, at the end of 2014/beginning of 2015.